Looking for alternatives to Xactly Express? Tons of people want Sales Compensation software to help with quota assignments/management, territory assignments/management, and commission estimator. What's difficult is finding out whether or not the software you choose is right for you. We have compiled a list of Sales Compensation software that reviewers voted best overall compared to Xactly Express. Based on reviewer data you can see how Xactly Express stacks up to the competition, check reviews from current & previous users, and find the best fit for your business. "Easy and intuitive for Comp Admins and Reps: Xactly can update daily and give our reps instant access to their updated sales and commissions every day. The user interface is clean and easy to use for both admins and representatives. The contast upgrades implemented through out the year keep Xactly on the top of the game and addressing additional needs and requirements. Requires little day to day management once the plans and formulas are set up. Xactly has even been able to meet some of our tough challenges in our plan adminstration with no issues. Their whole support team from launch to continuing support is responsive." "Getting Better Since SAP Acquisition : I like how the system has been improving the past 3-4 years, especially since SAP acquired them last year. The best part is how you don't need to know how to code to be an admin of the system. Some basic formula writing and deep knowledge of Callidus is an obvious must, but you don't have to be a developer to design a good system. Also, the system is very capable of handling incentive management for hundreds and even thousands of employees. Very flexible regardless of company size." "Good for small teams/limited comp plans: I like that Xactly can handle many different aspects of a complex compensation plan, such as tiers, accelerators, bonuses, and manual adjustments. I also like the seamless Salesforce integration and being able to run many different reports in Salesforce regarding Xactly calculations. Most of the time, Xactly gets the correct calculation even with a lot of different rule sets to look at. This gives the admin peace of mind that nothing has been missed." "Fits Commissions in NetSuite: It offers a way to track commission calculations into NetSuite using sales data that is already in the system. " "Customized Experience - Great So Far! : The team at Iconixx is tailoring a solution that is catered to my companies specific needs, they have gone well beyond an out of the box software company. They take the time to listen to our specific needs and help us realize solutions to our specific complex issues. The training one the training on the product is phenomenal. The training is very in-depth without being overwhelming or going too quickly." "Comprehensive commission software - excellent customer service: Our company has a number of different lines of business and many different commission plans for those LOB's and for our employees. QCommission is able to handle it all. As we have made changes to our plans, QCommission has been able to make them as well. I am confident they can handle most any type of commission plan. Uploading data and processing is very easy. Their customer service is outstanding--they reply promptly, communicate clearly, solve the problem, and follow up. They are always pleasant and helpful and make you feel that you are important." "Powerful and flexible variable compensation management system: I like the speed at which you can implement a solution and see tangible results for customers. The flexibility to see all the data being loaded and calculated is great for analysis. Performio will speed things up in your business processes and it will make everyone happy to have their information available. The system is both powerful and flexible to implement what you need without resistance or complex analysis cycles. The maintenance service is immediate and around the clock either from Australia or America. You can't go wrong. Also working with the folks at Performio is awesome." 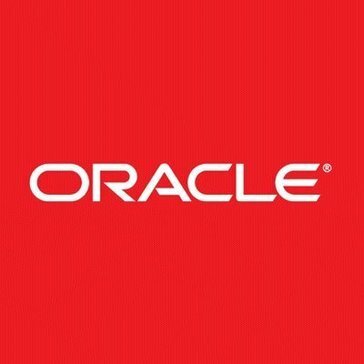 "Best value for money: If you are a small to medium sized company and till date you calculate the comissions for your employees manually just because all the softwares out there are either very complex to use or come with a hefty price, then Commissionly is defintely the solution you have been looking for. With a very small price on a contract free, monthly basis you can get this software to calculate the commissions for your employees. Every employee can check their commision real time and how close they are to meeting their targets. The report also shows how much commission they made in the previous months to keep track of themselves. On top of this, it also shows the employee their average commission compared to other employees for any specific month. You can easily import data from any source which makes it alot easier instead of manually writing entries. It also has a great CRM feature that comes in quite handy. For the employers or a manager, it is just as easy creating a target based on revenue or profit for the employers, a quick step by step wizard has been created that guides on how to create monthly or quaterly targets on a monthly or quaterly basis for your employees. Worst case scenario, if there is something you don't seem to understand they have great customer support that will definately solve any issues you might have. Highly Recommended!" "My positive review of Vistex while working with various SMBs: I liked the technical aspects of the platform, but wish it was a bit more functional and interactive as we tried using it during one of our go-to-market strategies. " 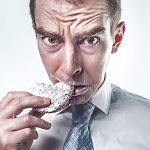 "Organized our Sales Commissions...: Our sales commissions were fairly disorganized. We had draws which we handled manually. We also had different versions of Excel spreadsheets so it was hard to keep track of things. We were able to use Sales Cookie to get rid of the complexity and manual handling. The application is very user-friendly and we were very satisfied." Easily manage complex bonus programs, MBOs, and other variable incentive plans for the entire organization. "Iconixx Incentive Compensation System: I like the ease with which the compensation calculation systems can be built and since the system gives a pre-designed structure that enables better design principles to be effectively applied." "Easy to use automated compensation management: Accurate and can be incorporated into varied business transactions Eliminates the headache of creating and maintaining multiple planning and calculation spreadsheets Integrated to both Order management and Account receivables to support SAAS, H/w, S/w transactions for thousands of users Collections, calculatios and payment processes can be scheduled with minimum manual intervention Customized analytics and reports "
"Spiff makes commissions a pleasure: - reduces time commitment and runs commission calculations on autopilot - our sales reps understand their commissions - it incentivizes our sales reps as they see their progress to hitting higher tiers - the integrations between CRM and stirpe ensures that everything ties out!" 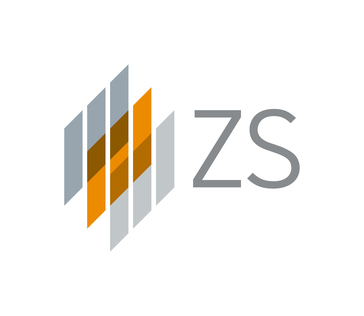 "ZS JAM: Running a sales compensation program is overwhelming. Javelin Incentive Manager is highly flexible, web-based incentive compensation software that oversees the entire incentive process, from defining incentive programs to ensuring payouts are correct and on time, while implementing even the most complicated business rules with ease." 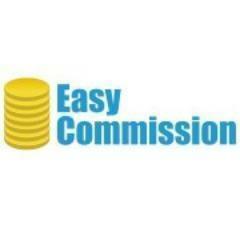 "Extremely flexible software for your commission needs: The system is very flexible. So far, it has been able to handle a variety of our different comp plans including SDR, Customer Success, and Account Executives plans. The UI is slick and the formula writing within the Commission Plan Designer is great. When you write the formulas, you get real-time feedback in the calculations - this brings a lot of transparency into creating comp plans. For example, if the upload doesn’t work, it will say why. A very big call out to their services team - very fast and we’re happy with the work so far. " 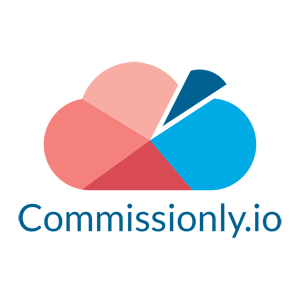 Easy-Commission is a cloud based commission calculation software for small and medium businesses, from CellarStone Inc.
"The easy commission staff have been extremely professional and so helpful in assisting us! : Turns what would be a hugely time consuming and complicated manual task into a streamlined, simple, automated process." "Great for managing employees: Though it might be confusing to figure at first, it is a very useful software that is great for data management, analytics, and compensation." NetCommissions manages sales commissions and provides performance feedback to reward excellence and ensure sales action that is aligned with corporate goals. "Great product! : Comprehensive features for sales commissions. Feedback using the built in communications platform. Heirachial planning and setup"
"Core Commisons Review : Much easier to navigate that google and excel sheets! Ideal to track for accounting and finance without glitches or complicated formulas to format. The ability to change info quarterly and code adjustments for time differences is perfect to keep up with the constantly changing trends! " 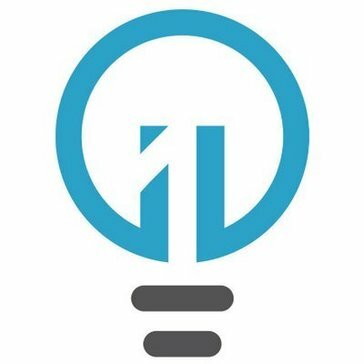 Be the first to review ThinkSmartOne! Hi there! Would you like help finding solutions similar to Xactly Express?